Kabbage disrupted fintech by creating a system that can approve business loans in under 7 minutes. Learn more about what Kabbage offers. Getting a business loan from your typical financial institution can be a nightmare. The traditional loan process simply takes forever. There's all kinds of paperwork to fill out, red tape to cut through, hoops to jump through, and lengthy meetings to attend. Kabbage was one of the fintech startups that knew there had to be a better, faster way to get a loan—it pioneered the first financial services data and technology platform capable of fast-tracking loan approvals. The company saw through the inefficiencies of an antiquated loan approval system and built their own technology and process around the goal of streamlining the whole process from start to finish. Instead of spending months going through applicants' financial histories, Kabbage utilized a more efficient automated platform to quickly give out loans to small businesses in need, many of whom would likely get turned down by traditional banks. 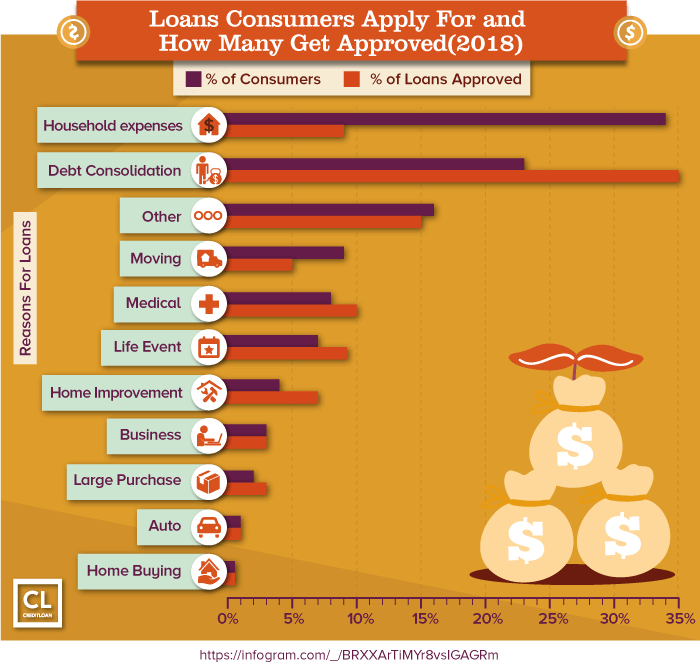 With loan amounts that can go up to $250,000, and an approval process that takes as little as 7 minutes, the company has rocked the entire lending industry and has now grown to serve more than 125,000 customers and process $3.5 billion in loans. Let's take a closer look at the Kabbage difference, what it has to offer, and how it rocked the entire financial technology industry. You just fill out a short online application, their software makes an automatic risk decision, and you get your funding. The platform uses technology to provide short-term loans to medium and small businesses. 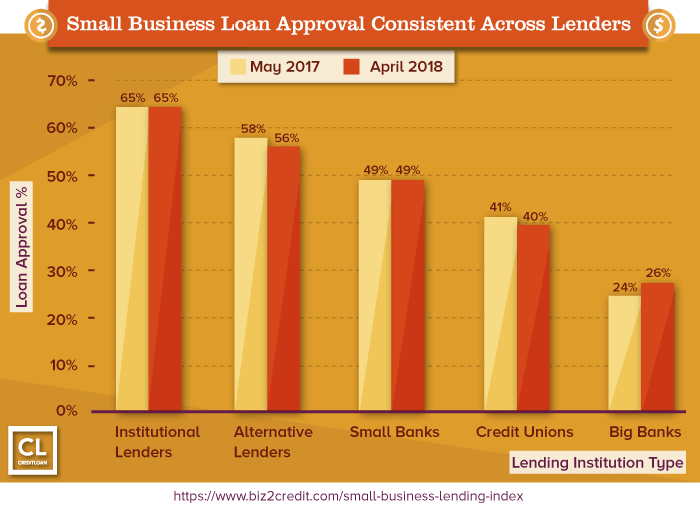 Many of these small fledgling companies often get turned down by banks who aren't able to make money on small business loans or are afraid of the risk. Their manual processes mean larger banks don't have the resources to serve a ton of smaller customers. In contrast, 95% of Kabbage customers have a 100% automated experience. Kabbage is one of many fintech startups that are shaking up the existing financial industry. They're doing it by replacing outdated systems with intuitive and speedy apps and services. A couple of its competitors include On Deck and Capital Access Network. The company was established in 2009 and gives loans to small and medium-sized businesses. Many of these businesses would otherwise fail to obtain credit from traditional banks. Kabbage doesn't spend weeks looking through a company's financial reports before lending to them. Instead, they use an automated platform built for efficiency. Instead of relying on credit score, Kabbage uses a large set of data points to determine a customer's creditworthiness. This automated process allows them to determine the eligibility of small businesses for loans in under 7 minutes. It can be a great alternative to a corporate credit card, among other things. As an industry leader with a valuation of over 1 billion dollars, Kabbage is what Silicon Valley refers to as a "unicorn" company. They have served over 125,000 small and medium-sized business customers and have provided more than $3.5 billion in loans. The company is even considering going public with an IPO (initial public offering) later this year. In January 2018, Kabbage expanded its maximum line of credit to $250,000 to provide better service for larger businesses. This won't just help current Kabbage customers who are looking to borrow more. It will also bring additional larger businesses into their customer base as well. Their average loan is $25,000 that's typically paid back over a six month period. Kabbage offers loan terms as long as 12 months and is even considering raising their term limit to as high as 36 months. Kabbage rocked the Fintech Industry by doing things differently. Let's take a look at what the company did in each of these areas that led to such a massive shift in the industry. The company isn't just an alternative to traditional financial institutions. It's an industry pioneer. CEO and Co-Founder Rob Frohwein realized Kabbage wasn't a financial company leveraging technology. Instead, it is a technology company enabling lending. This insight has since driven Kabbage's principles regarding user experience, automation, and technology. Kabbage integrates with an applicant's financial and business accounts. This provides a holistic view of their creditworthiness instead of relying on a single credit score formula. The platform partners with UPS to get shipping data. It also takes sales data from your eBay, Amazon, and Paypal account. This lets Kabbage see exactly the volume of business transactions that your business is doing. Kabbage even looks at data from your business Facebook and Twitter accounts when determining whether to lend to you. Kabbage gives borrowers the option to choose. They can opt for custom credit amounts and terms that are not an option with regular banks. Kabbage can deliver funds to a prospective buyer within minutes. It's in an entirely different category from other lenders. Kabbage, along with its new mobile app, has created a world with virtually no waiting to obtain financing. They can assess a borrower's creditworthiness in under 7 minutes. Kabbage gets to know a borrower's small business by connecting electronically to a number of relevant data points. The platform then takes care of everything. That includes approvals, underwriting, and origination using an automated process. That's where the time saving comes from. That speed pays off for both Kabbage and the entrepreneur borrowing the money. Competitors to Kabbage need a human to intervene at some stage of the process, which slows things down and makes the approval take days to complete. Kabbage trusts its AI-powered applicant assessments are robust, saying that their loans are as likely to be repaid as those issued by traditional banks. That means Kabbage isn't taking on any more risk compared to a traditional lender, yet the more time-consuming application and evaluation processes are mostly removed. We're actually asking the same questions that the banks are asking. What we're doing differently is connecting in real time to third party, verified data sources that give us a more holistic picture of that business. Petralia feels that banks are actually in a great position to provide service to small and medium-sized businesses. They simply lack the technology to facilitate it. Those same major banks already have access to most of the same business data that Kabbage uses to streamline its application process. They just aren't able to make use of it. Kabbage understood from the beginning that the more innovation they put into efficiently connecting to borrower data, the better they would be able to service and anticipate the needs of individual small businesses. The company was one of the pioneers and early adopters when it came to applying the use of big data analytics to monitoring and underwriting loans. 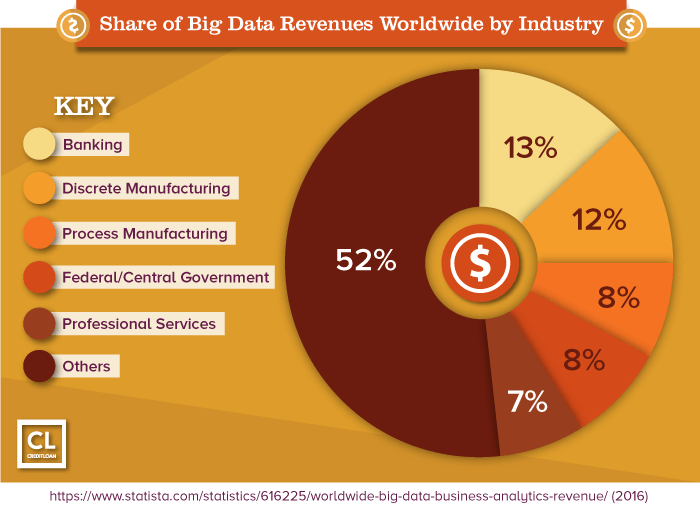 Their platform draws from hundreds of business information sources. These include a company's accounting systems, social media profiles, and online sales platforms. Shipping documents, and other publicly available information, are also taken into account. This is used to determine an applicant's eligibility, and how much to loan them. All of this is done without any human intervention using only algorithms and machine learning. Kabbage uses approximately 1.5 million data points to make its decisions. The company claims their algorithms are more accurate at avoiding defaults than those used by traditional banks. Kabbage is just better at identifying finding loan-worthy candidates. It's continually taking its algorithms and data-sorting to the next level. In fact, Kabbage's formula for the loan application process is now being used by multiple fintech companies. Kabbage's initial market was using real-time technology to provide small business loans to eBay sellers. Since then, they've grown to offer loans to businesses from a wide range of industries. The platform's flexibility comes in large part because of their guiding principle. That is: focus on user experience and enable businesses to get capital in under ten minutes. As long as they can serve that goal, they can help a diverse spectrum of different businesses. What kind of loans can you get from Kabbage, and what do you need to qualify? Your business must have a minimum revenue of $50,000 per year or $4,200 per month over the past three months. Your business must be at least one year old. You get a fast answer. The decision of whether or not you qualify for a loan of credit is made in a matter of minutes. There's no need to wait days or longer to find out if you qualify. Your funds are available as soon as your line of credit has been opened. Credit score impact. Borrowing from Kabbage makes less of an impact on your credit score than traditional lenders. Applying won't affect your credit, and Kabbage only does a hard credit pull once you accept the line of credit. Short repayment terms. Access short-term loans of between 6—12 months not typically available from other institutions. Convenient 24/7 access. You have mobile or desktop access to your account at any time. 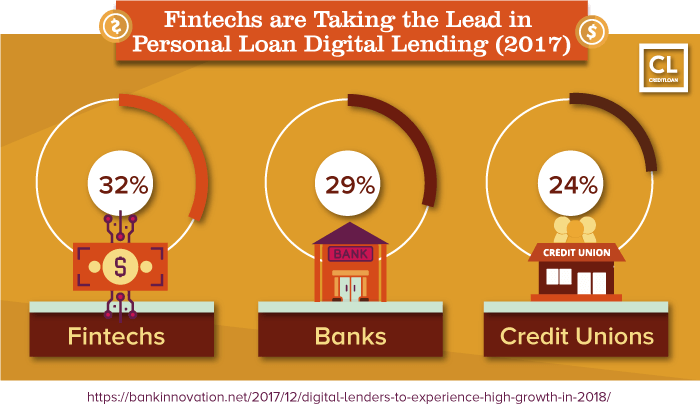 Mobile lending is growing rapidly, and some business owners run their entire company from their phone. Kabbage predicts that 20% of funding to small businesses will be done via mobile by the end of 2018. Lower fees. Kabbage charges lower fees than other financial institutions. It also charges no origination fees or penalties for early payments, unlike most other lending companies. Flexible. Borrow and pay fees on only the money you actually need. If you have a $100,000 line of credit but if you are only borrowing $50,000 at the current time, you will only pay for the latter. One-time setup. Businesses can withdraw money from their line of credit at any time without having to apply each time like a traditional loan. Most companies take out more than one loan per year, with some using as many as ten or twenty. Excellent credit score not required. Kabbage can use accounts linked to your application to collect business data to underwrite your line of credit. This is especially appealing for borrowers who don't qualify for traditional financing products. Loans are short-term only. If you need over a year to pay off a large loan, Kabbage isn't the right platform for you. Fees are front-loaded. This means that paying early won't save you much unless you pay the majority off within the first couple of months. The fee structure is complicated. A side-by-side comparison of rates with other lenders is difficult due to Kabbage's fee structure, so you may end up with a more costly loan compared to other lenders. Business use only. You can't use Kabbage for personal short-term loans. Personal guarantee required from the business owner. However, loans are unsecured by business assets. The Kabbage mobile app is available on both iOS and Android. Funds can be withdrawn to your Paypal account or bank account directly from your Kabbage dashboard. This can be done up to once every 24 hours. You can also request for a Kabbage card which works a lot like a credit card and can be used for ordering supplies or inventory. You can also use it for any other unexpected costs that may arise day-to-day in your business. How does Kabbage's fee structure work? On a six month loan, you will pay a fee of between 1–10% of your loan amount for the first two months. For a 12 month loan, you pay that percentage for six months. The exact fee percentage will be determined by Kabbage's algorithm. For the remaining months, you will pay a fee of 1% of the total loan amount. Each month you pay back 1/6th or 1/12th of your loan depending on the term, as well as the monthly fee. Late payments have a 4-day grace period before a fixed fee is incurred. Do you need access to funding but can't get a line of credit or enough credit from a traditional bank? Are you in a hurry and can't wait for a longer application process? Do you need short-term financing? Is financing for 6 months or less required, such as merchant cash advances? Do you have strong cash flow? This is especially important to pay the initial fees in the first couple of months after the loan is received. Is the money for a project with a high return on investment? In other words, will it make you more than the interest rate will cost? Did you find yourself nodding yes to these questions? If so, then a loan from Kabbage might be the right solution for you. They pioneered the first financial services platform able to provide business financing in under 7 minutes. Compare this with traditional financial institutions which could take weeks or even months to approve a loan. Kabbage's success came from 3 key things. It automated and innovated the entire lending process. It uses big data better than any other lending company. It is incredibly flexible with its business model. Thanks to these strengths, the platform has grown to provide over $3.5 billion in funding to more than 125,000 small businesses and it looks poised to continue its robust growth well into the future. As a true fintech pioneer, Kabbage is far ahead of traditional financial institutions in many aspects, but more so when it comes to offering small and short-term loans to businesses. It provides an interesting glimpse of what the future has in store for the fintech industry. Have you ever taken a loan from Kabbage? What was your experience like?